Tap on 'messages' at the bottom of the screen. 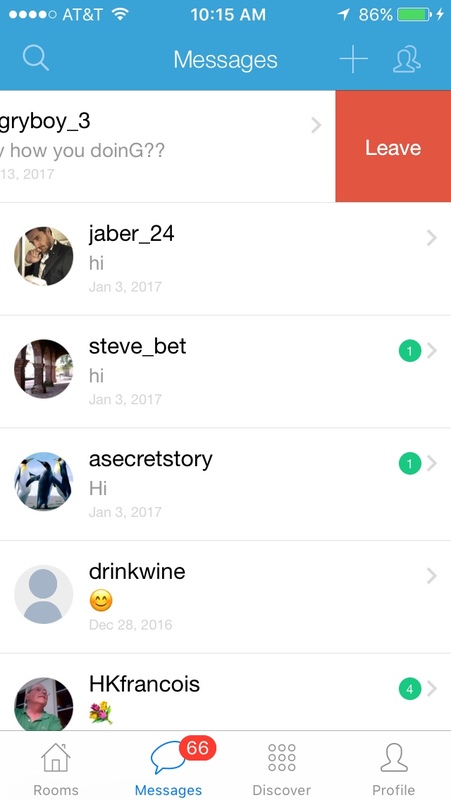 Left swipe the user in the list that you want to delete your chat history with. Then tap on 'leave' on the top right of the screen. You have to do this on a user to user basis, there is no 'global' way to remove all chat history from all users all at once. Chat history will build again with every conversation, even if you have previously deleted history with that user. So each day before you log out of the app, be sure to repeat this process with every user that you do not want to maintain a history with.